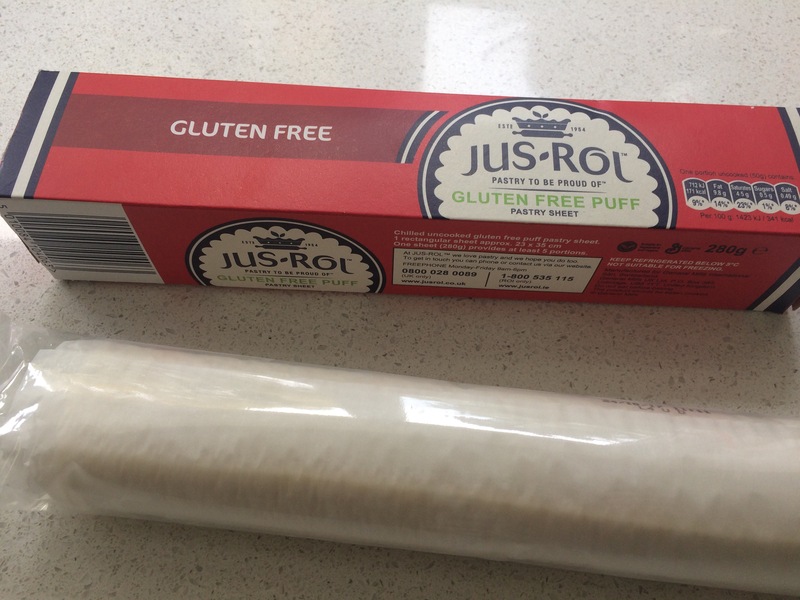 I was excited (in that way that only a coeliac could be) to come across some refrigerated Jus-Rol gluten free puff pastry in the shops last week so I thought I’d give it a whirl. I used to cook a little tart out of regular puff pastry. This would be done by piling up the filling in the middle and scoring all the way round about 2cm from the side. The edges would then puff up nicely in the oven, creating a sort of pastry barricade to hold in the filling. It rose a little bit, but not enough to make this worthwhile. Although the boys said it tasted nice, the base was pretty difficult for them to cut up. To make this one, I roasted a selection of seasoned vegetables in the oven until just cooked (squash, red onion, pepper, courgette). When completely cool, these went into a dish (Rectangular makes the most of the pastry’s pre-cut shape.) and I crumbled in some feta cheese. I cut a slightly dodgy lattice into the pastry and pulled it apart as far as I could before popping it on the top of the veg, and brushing with egg. It ripped in a couple of places, but that wasn’t much of a problem. Twenty minutes in the oven ensured the pastry was cooked and the veg nice and hot, and this made a really nice weeknight tea. The pastry was nice and crispy on top, and had a little chew underneath where it was touching the soft vegetables, and it gave a nice crunch to the meal. It had risen just enough to know it was puff pastry – I could see the layers in it when cut apart. I would say this pastry is really nice, as long as you don’t mentally compare it to regular (non-GF) puff pastry, as it couldn’t ever live up to the flakiness and puffiness. It’s good enough for me though, and I’ll probably buy it again, if only to try making a neater lattice! 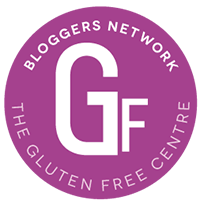 Tags: gluten free jus-rol, Gluten free product review, gluten free puff pastry. Bookmark the permalink. Hi. Where did you buy the pastry? I’m struggling to find it. Thanks! Hi Kat. It would have either been Sainsbury’s on Archer Rd or Ocado.